Welcome the Chapter 2 of our Ultimate Guide to Increasing Reader Engagement on Disqus! Catch up on the latest from Chapter 1 on listening to your community. Comments don’t have to be the passing whims of random people on the Internet with an opinion. If you nurture them - ideally by a dialogue driven by reader feedback - comments can become part of story itself. When readers see that their comments have a direct influence on the content they are consuming, they become committed to your success and more willing to take actions that grow engagement on your site. Publishers like Lifehacker are excelling at this strategy by turning their readers into content contributors. One recent example is their Hack Your City series where the staff ask readers to submit their best “hacks” when visiting different cities across the United States. Not only did Lifehacker readers post hundreds of suggestions, it set up a pipeline for future content. 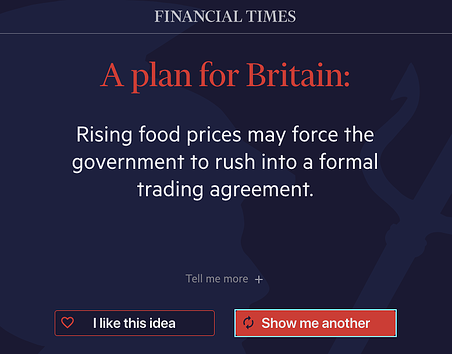 Another recent example comes from The Financial Times and The Future of Britain Project. They invited readers to brainstorm ideas for guiding Britain after Brexit. From over 800 responses that they received, their editors curated and published six responses that represented a broad spectrum of viewpoints. All told, stories for this project garnered 18 times more comments than the average story on The FT.
Set the tone - State the goals upfront. What do you hope to accomplish? What role are readers expected to play in achieving this? Ask a specific question - An invitation needs a clear and direct question to the reader. Also be sure to clarify what you are not asking for. Provide a simple set of guidelines - If there is any specific criteria that needs to be established, communicate it so that readers are set up for success. If there is a format that readers should follow, include an example. For Lifehacker’s Hack Your City series, they set the tone for each edition by sharing their own insider knowledge about a city. This gets readers thinking about their own ideas.Next, they ask specific questions about navigating the city, local spots for good food, and inside information only locals would know. Finally, they provide a simple set of guidelines including the incentive for participating: the chance to be featured on the site. “As with every city we cover, we want to hear from experienced Vegas visitors about secret deals, underused freebies, and places to avoid. We want to know how to do Vegas on the cheap, or with kids, or with your buddies. We want your favorite casinos, bars, and clubs. Disqus makes curating comments easy. For example, readers vote on comments so that the best contributions surface to the top of the thread. 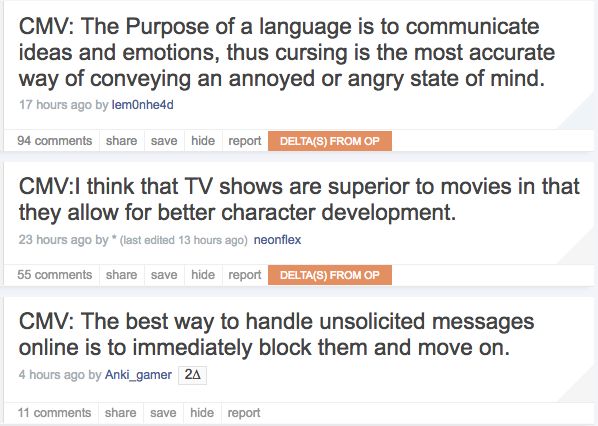 Toggle between different discussion sorts like the newest comments so you don’t miss out on hidden gems. If you’re on the Pro Plan, check the Top Comments dashboard to find the best comments posted in the last 7 days. When you’ve finished curating a list of top comments, embed them in your articles using our handy tool. Now that you’ve picked out the best comments, it’s time to elevate them. The best comments can be the basis of a new story, highlight opposing viewpoints, and connect your content to your community. Aim to highlight a broad diversity of perspectives. No matter the topic, there will always be people that sit on different sides of the table. Embracing this as a strength can help foster a more inclusive environment where reader input is actively encouraged and welcome. 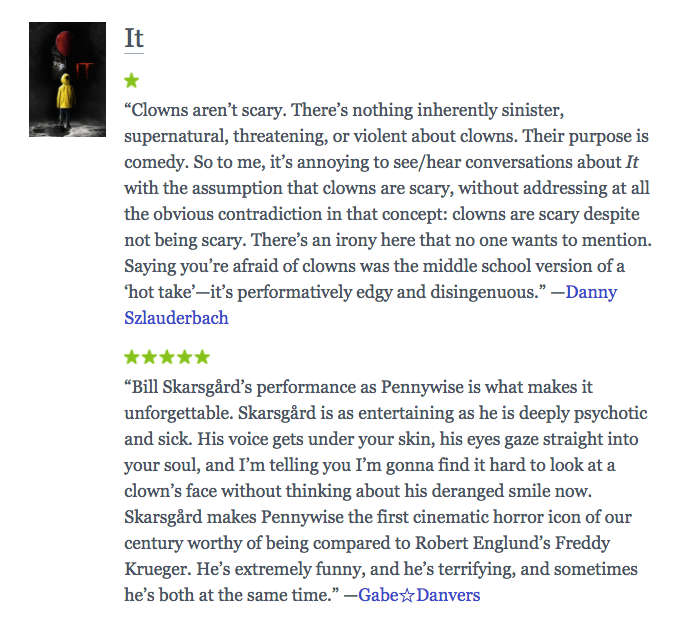 Even the highest rated movies will have its critics. Has there ever been a movie that was universally liked? At Letterboxd, a community for movie lovers, they publish a monthly newsletter that includes a section that compares both 1-star and 5-star reviews of recent movies. What makes these so fun is that it helps you become a more critical consumer of movies. 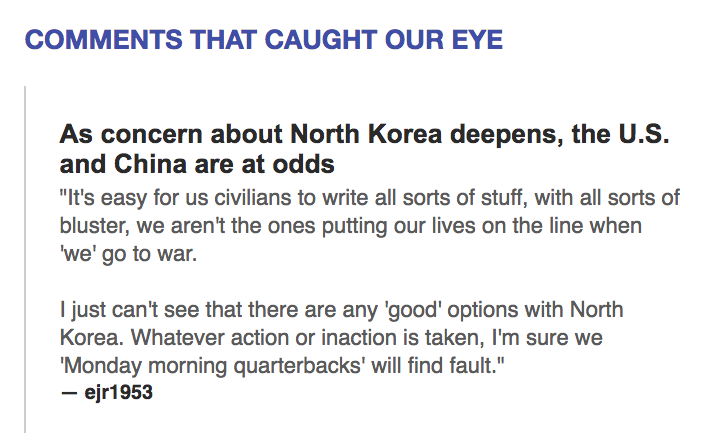 In The Washington Post’s Read These Comments email newsletter, they feature snippets from the most thought-provoking comments from readers. The comments are organized to show where different readers stand on particular policy issues. Lastly, show interactions between readers. Some of the best comments are the result of serendipitous encounters between different users. Sometimes a clarifying question or a piece of additional input can turn a rough thought into a great idea. An engaged community helps to bring these ideas to light. It could be a response to an open question or a clarifying question directed at a comment (e.g. “what did you mean by that?”). On the Change My View subreddit, users with different viewpoints engage in discussions in an effort to better understand all sides to a story. Expressing one’s views is not enough here. Rather, members take the extra step to explain the reasoning behind their stance in order to help others see the world from their perspective. As a result, these community dynamics create opportunities for interesting back-and-forth dialogue from people who may not normally interact with each other. A story never really ends. Sometimes it unfolds in new and unexpected ways as soon as you share with your audience. In the summer of 2016, The Atlantic published a documentary that profiled the struggles of living alone as an elderly person in NYC. The short video concluded when the main protagonist, King-Sim Ng, suddenly disappears after being hit by a car, leaving readers in angst and concerned for her well-being. One month later, The Atlantic published a follow up story confirming that Ng was back safely at home. The update chronicled the different chapters of this captivating story through readers’ comments. One particular comment added additional information that wasn’t originally covered in the documentary that brought meaningful context to the situation depicted in the video.